“First, let us reflect on the fact that the US is one of the few remaining modern countries that still allows this practice. It has actually been outlawed in most other countries, because of the physical and psychological effects it has on the animal. In most European countries, and Australia, you would actually lose your license to practice vet medicine if you were to perform this surgery, where it is uniformly viewed as unethical and inhumane. 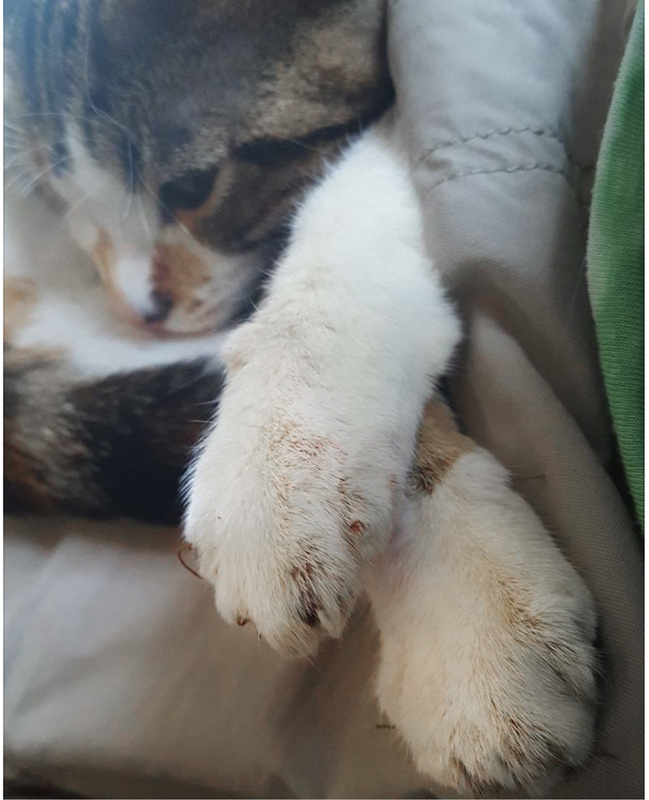 Texas Coalition for ANIMAL PROTECTION Stopped Declawing Cats in 2017! I’ve been trying to inspire Texas Coalition of Animal Protection to stop declawing since early 2015 by respectfully reaching out to them in private messages to their offices, to their Executive Director and Founder, Stacey Shumacher, and on their social media pages. 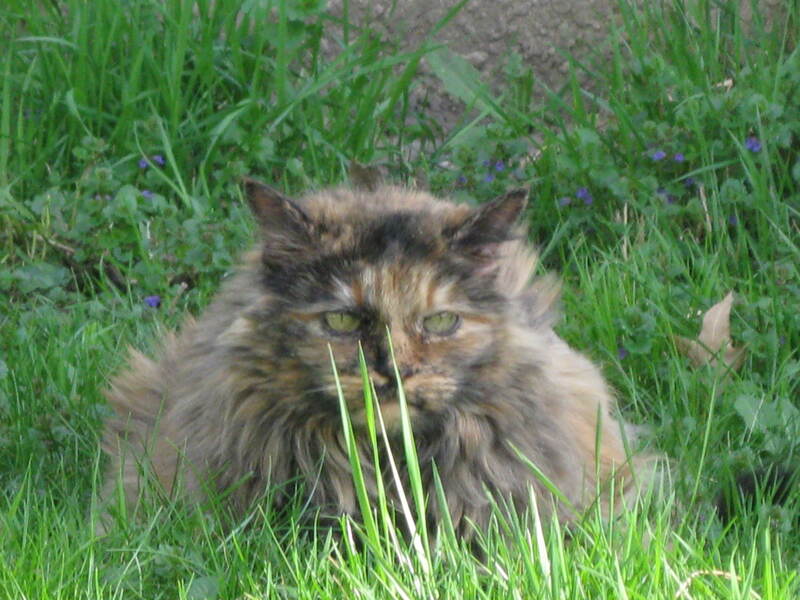 But they just ignored me and blocked from on their facebook, Instagram @tcapspayneuter, and twitter @tcforap pages. Maybe you can help me respectfully inspire them to STOP doing this inhumane and harmful procedure to lots of cats each year. 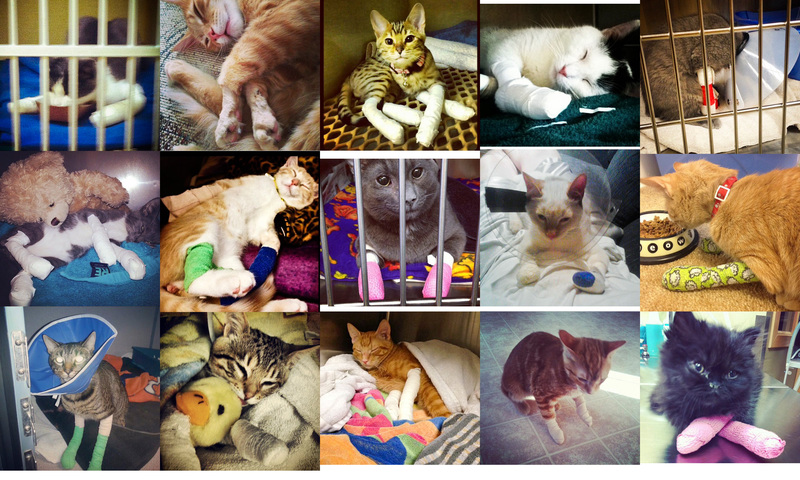 Colorado Veterinary Medical Association Fights The Declaw Ban in Denver. Here’s Why. 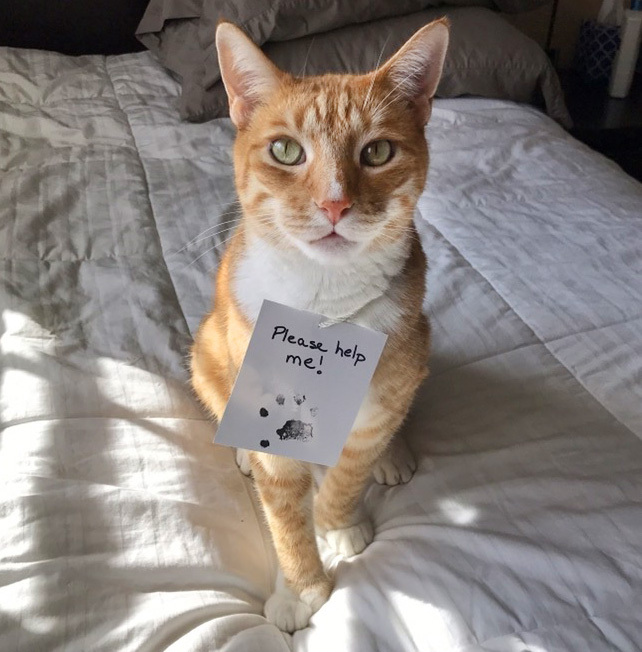 November 5, 2017 the Denver City Council unanimously passed the anti-declaw bill and then on November 13, 2017 the City Council unanimously approved the anti-declawing ordinance. 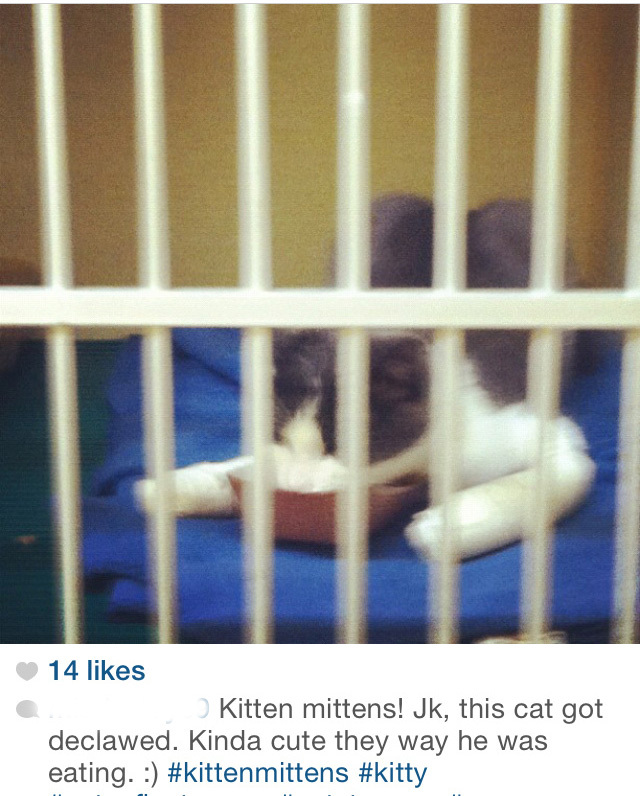 Declawing is illegal in the city of Denver! The Colorado Veterinary Medical Association is the only organization that fought to stop this bill so their vets can keep declawing cats. 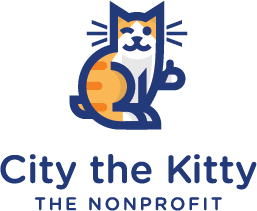 My team of researchers did a survey of vet practices in the city of Denver after the Denver City Council voted 11-0 to ban declawing. 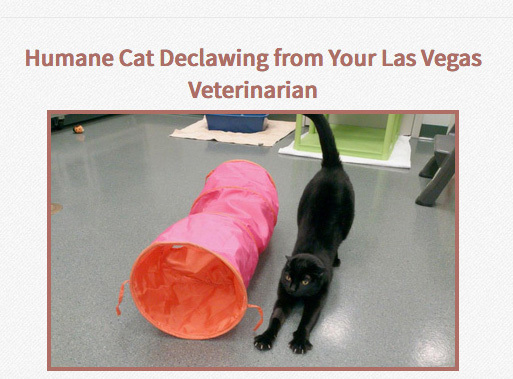 I wanted to see how the vet practices in Denver address declawing and if word had gotten out that declawing was going to be illegal. 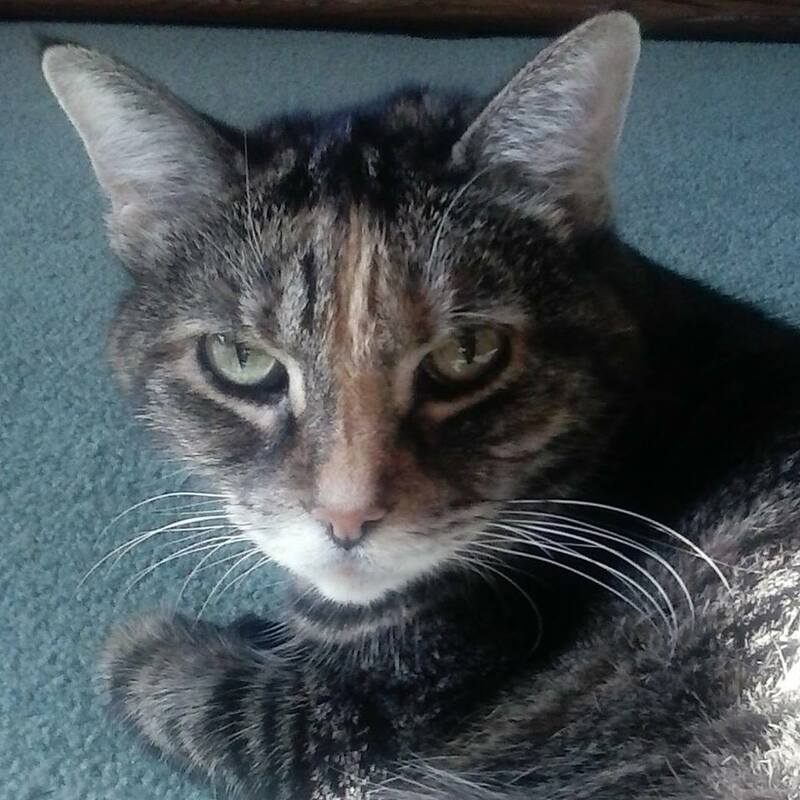 My researchers posed as cat owners who were checking on a price to get their cat declawed. This research was conducted from Nov. 7-9, 2017. 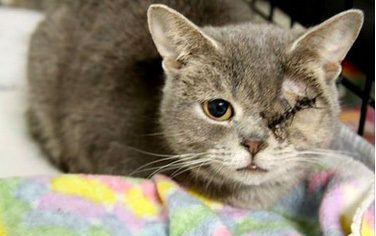 The researcher said they were concerned about reading things online about how declawing is bad so they asked the employee if their vets are skilled at them and is is ok long term for a cat. 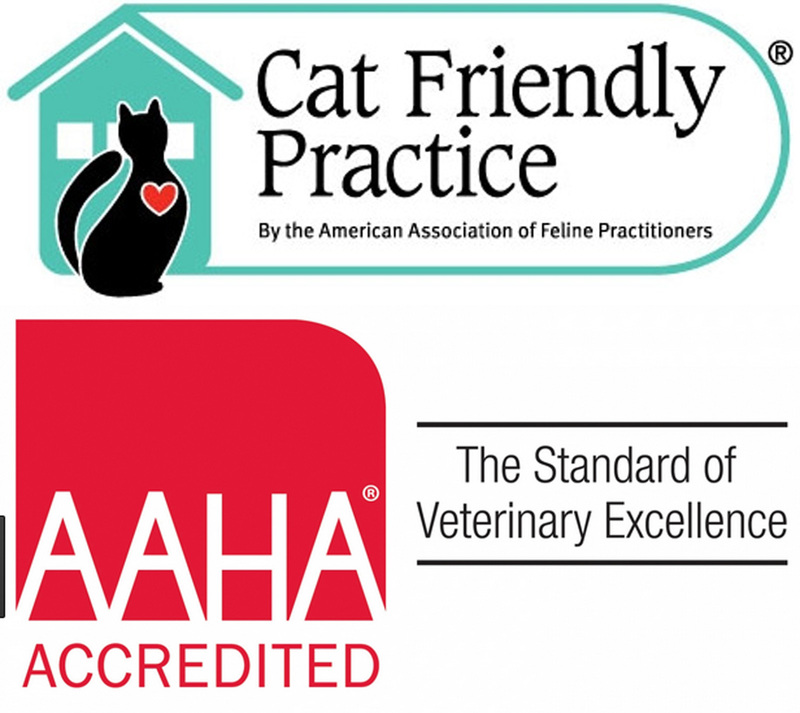 The employee at this AAFP CAT FRIENDLY practice said, “We do declaws at least a couple a week.” They said that the younger the cat the better and it’s best to do the declaw when they are a kitten. The researcher asked why their declaw procedure is “humane.” The employee said because, “We do it the correct way, the way it is supposed to be done.” They use a scalpel to do the declaws. 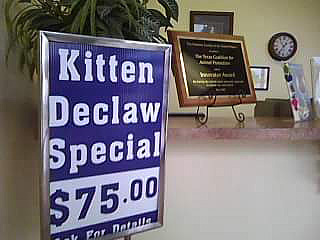 She said, “Declawing is very looked down upon from a lot of different organizations.” She said, “Basically you are removing the top digit like removing the top tip on your finger tips and there are a lot of nerves there.” She said there is a chance of things being, “bumped the wrong way or in recovery a little open but about 95% of cats we declaw we don’t have issues.” She said that when the cats are older and heavier is when there are issues with a declaw. This vet, Dr Donald St Ledger, a 40 yr American Veterinary Medical Association (AVMA) member vet, who went to University of Illinois has been and is STILL declawing cats of any age on 2 and 4 paws and NOT USING ANY PAIN MEDS at Albion Veterinary Clinic in Illinois.